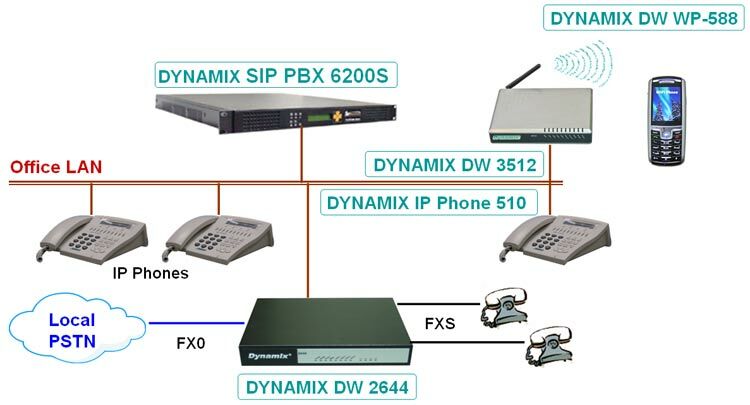 Dynamix DW-2644 is a VoIP gateway combined 4-ports FXS and 4-ports FXO, to connect with analog phones (POTS) and direct connect to PSTN. Includes 1-WAN/4-LAN 10/100 base-T NAT for diverse network environment. Field-proven quality of Voice communication and Fax transmission over IP broadband access network to make Dynamix DW-2644 being an excellent solution for various VoIP applications. Build-in 4 ports FXS and 4 ports FXO for flexible routing management.